All-New! A special online exhibit — featuring original artifacts, newly-uncovered videos and White House tapes — that contributes President Nixon’s voice to the national conversation about the Vietnam War. 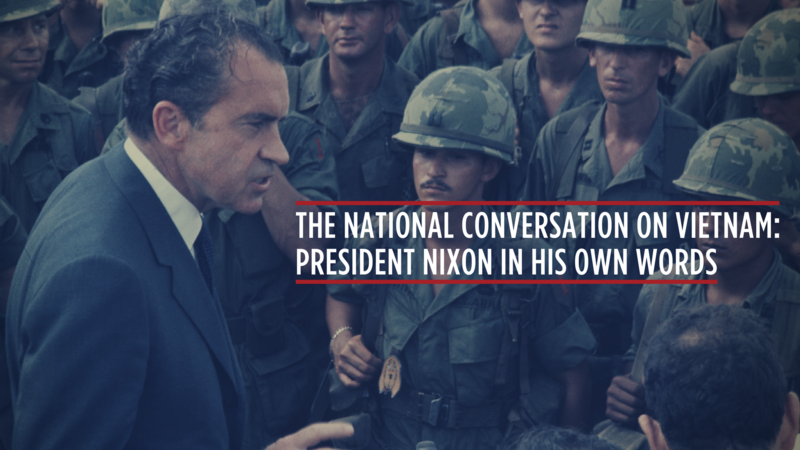 The Nixon Foundation believes it is vital that President Nixon, who inherited and ended the Vietnam War and brought the POWs home, be an active voice in the national conversation on the Vietnam War. Follow the conversation on social media, and join us using #VietnamConversation. CLICK HERE to explore the exhibit.